Please type your desired tags, e.g. Geospatial Information Science, Bionanosciences, Nanosafety, HiC, Grant Writing, Curriculum Development, Health Careers Preparation, International Development, Intimacy, K-12 Education, Chess, Communication, LGBTQ literature, Popular Culture, Eighteenth century French intellectual and literary history, and etc. 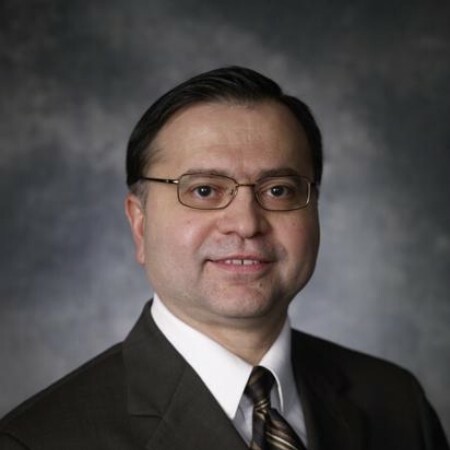 Professor Naofal Al-Dhahir has been named an IEEE fellow, one of the highest honors bestowed by the Institute of Electrical and Electronics Engineers. The honor, for “contributions to high data-rate communication over broadband channels,” recognizes Al-Dhahir for a large body of work that includes an important component of the high-speed DSL Internet technology used by millions of people around the world. RICHARDSON, Texas (Sept. 21, 2005) — An electrical engineering professor at The University of Texas at Dallas (UTD), in collaboration with and a researcher from Princeton University, has been awarded a National Science Foundation (NSF) grant to investigate the value of algebraic signal structures in the cross–layer design of multiple–antenna wireless communication systems. Dr. Naofal Al–Dhahir, an associate professor in UTD’s Erik Jonsson School of Engineering and Computer Science will work with Dr. Robert Calderbank, who holds a joint appointment as a professor with Princeton’s departments of mathematics and electrical engineering, to demonstrate how algebraic signal structures make it possible to integrate different multiple–antenna system functions efficiently at an end–to–end complexity equal to that of the single–antenna systems used today. 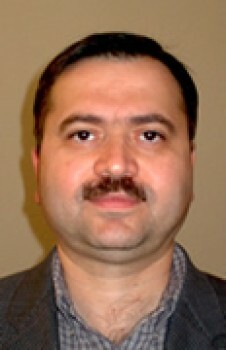 Naofal Al-Dhahir, an associate professor of electrical engineering in the Erik Jonsson School of Engineering and Computer Science at The University of Texas at Dallas (UTD), has been named a co-recipient of the prestigious Donald G. Fink Prize Paper Award for 2006 by the Institute of Electrical and Electronics Engineers (IEEE). The award is given for the most outstanding survey review or tutorial paper published in IEEE transactions, journals or magazines, or in proceedings of the IEEE. Established in 1979, it is named in honor of Donald G. Fink, a distinguished editor and author who was the first general manager and executive director of the IEEE. The Fink award is the only IEEE-wide journal best paper award; all other paper awards are at the technical society level. An electrical engineering professor and a Ph.D. student at The University of Texas at Dallas (UTD) together won the “Best Paper” award at the 2005 Institute of Electrical and Electronics Engineers (IEEE) Vehicular Technology Conference recently held in Dallas. 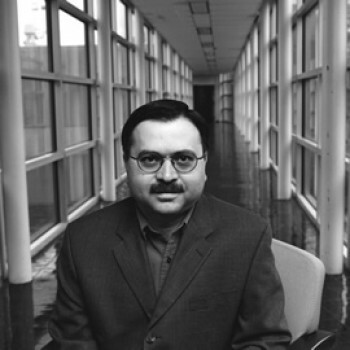 Dr. Naofal Al–Dhahir, an associate professor, and Sushanta Das are part of the electrical engineering department in UTD’s Erik Jonsson School of Engineering and Computer Science. They are co-authors of the paper with Dr. Robert Calderbank of Princeton University and Dr. Suhas Diggavi of Ecole Polytechnique Fédérale de Lausanne in Switzerland. RICHARDSON, Texas (Sept. 9, 2004) — An electrical engineering professor at The University of Texas at Dallas (UTD) has been awarded a National Science Foundation (NSF) grant to investigate new methods for broadband multimedia wireless communications. Dr. Naofal Al-Dhahir, an associate professor in UTD’s Erik Jonsson School of Engineering and Computer Science, received the award, which covers a four-year period and is worth $250,000, from the NSF’s division of Computing and Communication Foundations (CCF). Lead Guest Editor for a special issue of IEEE journal of selected topics in signal processing on DSP Techniques for RF/Analog Circuit Impairments scheduled for publication in 2009. Elected Member to the IEEE Signal Processing for Communications Technical Committee (SP4COM) January 2002 to December 2007. 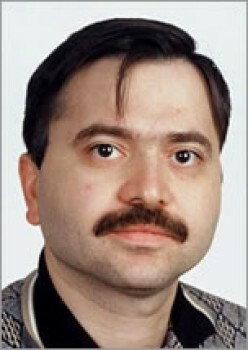 Elected Member to the IEEE Signal Processing Theory and Methods Technical Committee (SPTM) from January 2005-present. Tutorials Co-Chair at ICASSP'08 in Las Vegas. 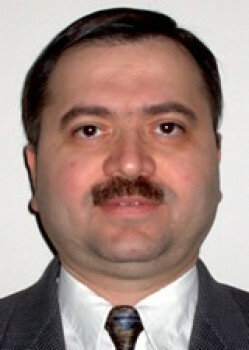 Technical committee member for IEEE ICASSP and SPAWC from 2002 to present. Co-Chair of the Communication Theory Symposium at IEEE Globecom'04 Conference in Dallas, Texas, December 2004. Presented a tutorial at ICECS'03 entitled "Space-Time Coding and Signal Processing for Next-Generation Wireless Communications", December 2003. Presented an invited tutorial at PIMRC'02 entitled "Space-Time Signal Processing".